Hardwick Field, the former Cleveland, Tenn., airport, is grown over with grass and basically abandoned. It will officially close on Tuesday. 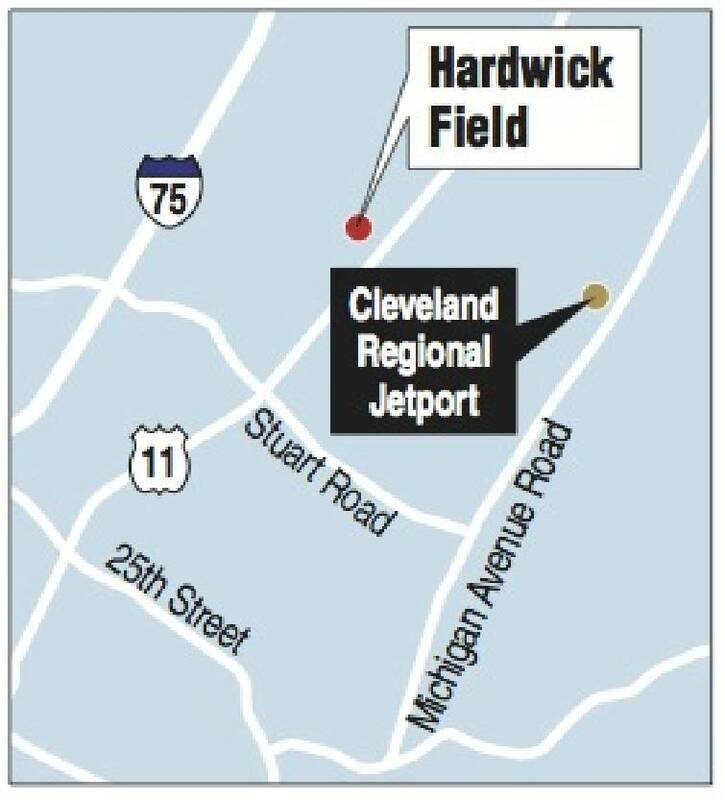 CLEVELAND, Tenn. - As the Cleveland Regional Jetport ends its first 11 months in operation, Cleveland's oldest airport - Hardwick Field - is about to close permanently. A few months ago, the Cleveland Municipal Airport Authority gave notice to the few remaining tenants at Hardwick Field, established near North Lee Highway in 1955, that all aircraft must be removed from the property by Tuesday. With the recent addition of two new communal hangars at the jetport on Dry Valley Road, the Hardwick Field tenants now have a place to take their aircraft, said Mark Fidler, director of operations at the Cleveland Regional Jetport. "With the announcement that the hangars are available for occupation, there has been a flurry of activity with pilots moving aircraft into their new homes," Fidler said. The hangars, which have a combined capacity of 20 aircraft, began receiving tenants on Dec. 17. The process for filling the hangars will continue until they are at 100 percent capacity, Fidler said. Demand for space at the new hangars is high, and there is a waiting list that would fill another cluster of hangars, he said. Fidler said procedures for closing Hardwick Field are mostly simple tasks such as removing signs and giving notice to the flying public through aviation authorities that the facility is shut down. The older and smaller airport, increasingly deserted and overgrown with weeds, has been closed to visiting air traffic since the opening of the Cleveland Regional Jetport on Jan. 25. Night operations ended in July. The Hardwick Field property will be sold, but the Cleveland Municipal Airport Authority has not decided if that will be by auction or sealed bid. Creating the new and larger jetport is an important step for a city trying to position itself as a leading center of modern economic growth, Cleveland Mayor Tom Rowland said just before operations began at the new facility. "Our jetport is long overdue," he said. Aviation officials and Rowland have said the jetport has regularly enabled important corporate and government officials to come directly to Cleveland by air instead of them landing in Chattanooga and driving to Cleveland. The Cleveland Regional Jetport will mark its first anniversary with an open house to showcase the "tremendous development" of the facility over the past year, Fidler said. Accomplishments there include the construction of multiple corporate, private and communal hangars, a taxi lane extension and the implementation of instrument approach procedures, he said. Serious planning for the event will begin once the new communal hangars are occupied and Hardwick Field has been closed, Fidler said.